This is a rock climbing guidebook to multi pitch trad and sport routes throughout Sardinia, with approximately 1,400 routes. This is the updated 5th edition of the trad and multi pitch guide to Sardinia - in the English language throughout. It accompanies the separate volume from the same publisher - Pietra di Luna Single Pitch Sport Climbs. 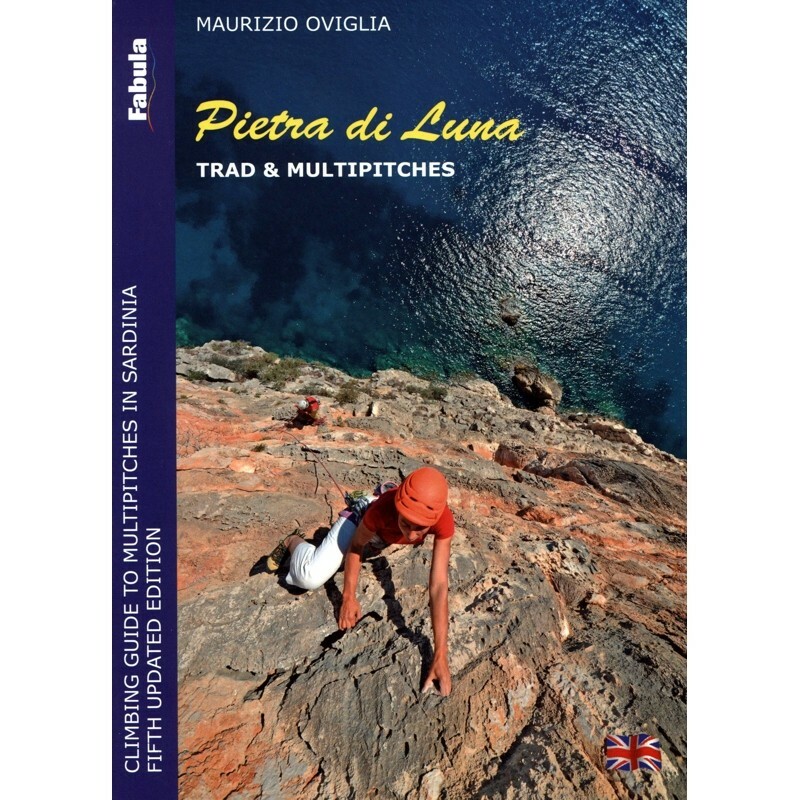 This guidebook is dedicated to multi pitch trad and sport routes throughout Sardinia, as well as single pitch routes that are not equipped. It is a very comprehensive guidebook with high quality colour photo topos and including detailed crag descriptions, access information etc. Approximately 1,400 routes.